Shortly before reading Feminist Waves, Feminist Generations I had read an essay by Vivian Gornick entitled ‘At the University: Little Murders of the Soul’ in which the author mused on her various (largely negative) experiences at universities in the United States (Gornick, 1997: 67). Gornick eventually attributes her unhappiness to what she describes as the silence within the academy, both a literal and a metaphorical silence in which the promise of conversation and the exchange of ideas is not fulfilled. 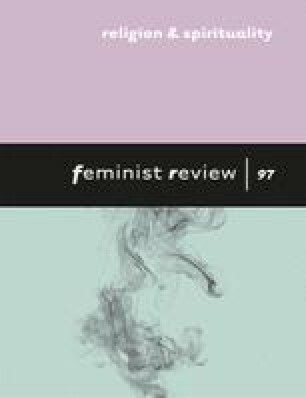 On first reading, the account of academic life given in Feminist Waves seems to offer an entirely different account of the academy: almost, it might be said, an account that suggests not silence but rather too little of it. The various contributors have all worked, at some point in their professional lives, at the University of Minnesota and offer their various accounts of life at that university. These accounts cover detailed histories of tenure battles (Jennifer Pierce) and the relationship of sexual politics and sexual identity to the classroom (Peter Hennen, Toni McNaron, Sam Bullington). It is all fascinating reading, in which the classrooms and corridors of the University of Minnesota come vividly to life. Silence is not a word that would seem to describe this academic world. But if Feminist Waves gives a picture of many conversations and a great deal of friendship and collegial support it also communicates a certain kind of silence of its own. This is not about literal silence but about a refusal of some of the underlying issues that have, at one time or another, confronted many of the contributors. For example, while Jennifer Pierce's account of her tenure battle shows exactly how academic power can be used and mis-used there is little discussion of the wider implications of tenure, implications which include the creation of an academic culture of collusion and obedience. The opponents to Jennifer Pierce trot out all kinds of variously spurious arguments about her work and this can be read (and indeed is read) as opposition to feminist, non-quantitative social science. But while this may be the case perhaps it is only part of it: another part is that ‘silence’ about ideas to which Gornick has referred. The entry of feminism into the Western academy caused all kinds of ructions in many universities, not least of which was the demand that academics identify themselves as human beings with human histories and human associations. This is not a demand that makes everyone comfortable and Feminist Waves contains considerable evidence of this discomfort, at the same time as it demonstrates the collective links that can be established once this step is taken, or at least acknowledged. But part of the complexity of self-declaration (abandoning silence) is that identity can also become a form of personal stasis, a sense of a place having been reached from which it is no longer necessary to depart. For feminists this question raises issues discussed throughout Feminist Waves, issues of the differences between generations, between women and men of different nationalities, ethnicities and sexualities. In many of the essays there is an overwhelming sense of a search for personal identity, while at the same time several authors also acknowledge the sense of transcendence of those who had managed to make given, often restricting identities, fully human. It is in part this recognition that has encouraged feminists to validate the history and achievements of women across disciplinary boundaries and recognise the complexities of personal identity. The shifts in academic practice and content that feminism brought to the academy are wonderfully illustrated in Feminist Waves. In that, the book is hugely valuable. But still this question of silence remains and for me two kinds of silence persist. The first is that there is little discussion of lives outside the academy: where are the children, the partners, the ties that bind and take up our time. The second is the silence about the nature and the value of the academy and the limits of possible transformation within it. Of course, it is valuable to teach and to teach in ways that engage and enrich individual lives but at the same time to view the university as a uniquely critical site within the contemporary world is perhaps an over-optimistic exaggeration, which serves to further a sense of personal mission and minimise the discussion of the collective. Within the collectivity that is the academy there is much to be critical of and not all of that can be attributed to sexism. Awkward questions remain. But it is asking those awkward questions that feminists, as this volume demonstrates, have so much encouraged.